Available to members only. Theory and on the water sessions. The modules run prior to racing at the club, so that participants can then join races if they wish. These coaching modules follow RYA guidelines and coaching methods and are run by RYA qualified instructors. They are aimed at helping sailors further improve their sailing skills by concentrating on specific skills during short 3 hour sessions. In some cases they will have a particular emphasis on racing and mostly, will have a bias towards sailing in tidal waters. All modules differ. Usually, there will be an hour's theory followed by two hours on the water. After the course participants have the option of applying their new skills in the club races that will follow. Options for participants will include use of stern main-sheet Enterprises or centre main-sheet RS Visions or single handed Lasers. All modules last for a minimum of three hours. Race Starts - Options, skills and tactics; hitting the line at speed, clear air, which tack, line bias etc. Sailing the Course - Skills and Actions Sailing a triangular course, upwind and downwind boat speed, mark rounding, lay lines, etc. Roll Tacking/Roll Gybing - The dark arts of coming out of tacks and gybes quickly in light/medium winds. Working as a team in double handers, Or single handed on Lasers. Intro to Spinnakers - As it says on the tin. Hoist, reach, gybe and drop as helm and crew. Experience as helm and crew with asymmetric and symmetric spinnakers. 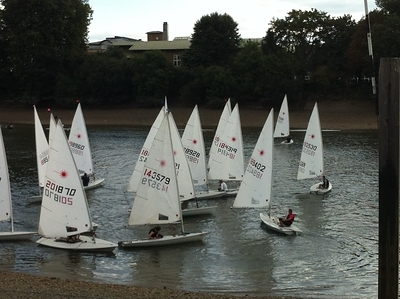 Level 3 skills – Sailing tight circles, Sailing backwards and sailing without a rudder. All skills that are essential whilst racing. Helming skills – Ideal for those who want to learn the RYA methods, switch from rear to stern mainsheet or vice versa or switch from double to single handers or vice versa. 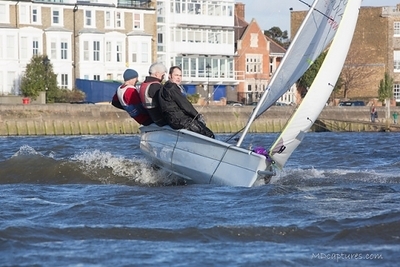 Laser sailing to win – 3 hours session with on the water skills coaching. Advanced skills for winners. Helms: Minimum requirement of RYA Level 1 and 2 or equivalent skills and experience.